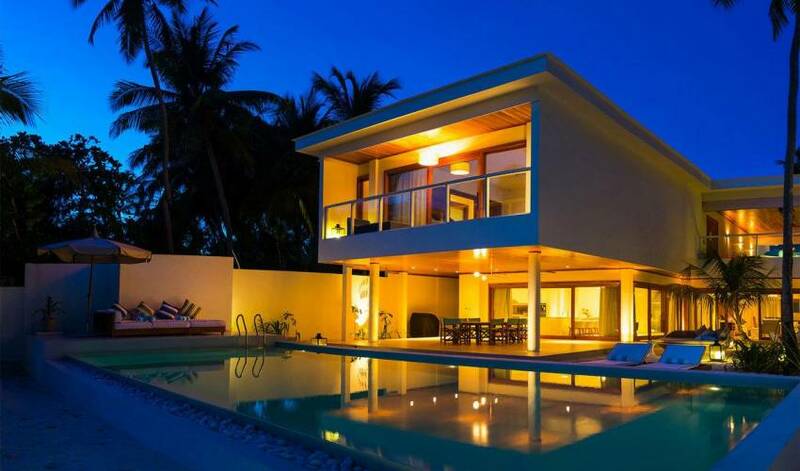 The six Villa 1341 - four bedroom villa residences are among only eight private residences in an elite gated community on this coral-fringed island resort in the Maldives' Baa Atoll - a UNESCO biosphere reserve. Think absolute beachfront location, crystal lagoons, pristine white sands, private pool, accres of living space and heart-warming service. Then add the resort's outstanding facilities: restaurants, spa, personal training, kids club, diving, big game fishing and water sports, pro tennis, football and many other activities. This is "paradise - the most idyllic and relaxing place on earth" says supermodel Kate Moss. Can it get any better! Large air-conditioned living room with capasious seating area, large dining table comfortably seating 10, 50-inch TV with satellite channels, Marantz DVD player, multi-zone Bose sound system, iPad. 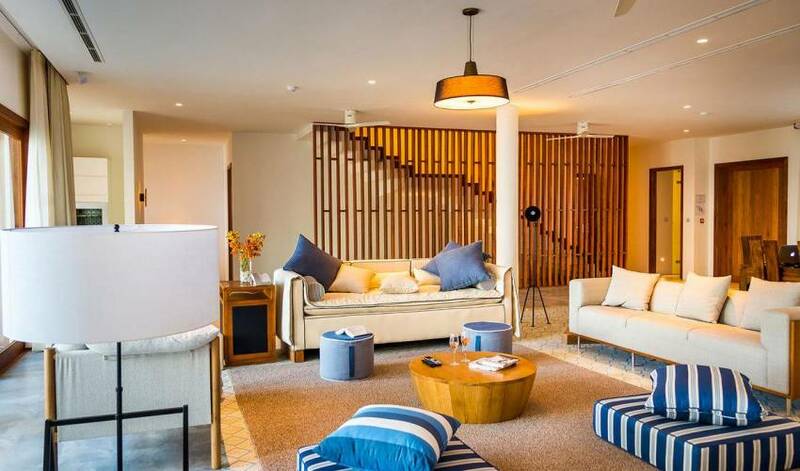 Huge second-level fan-cooled open-sided living room with modular seating and table tennis. Light and airy air-conditioned kitchen with sit-up marble-topped counter - exceptionally well equipped with range cooker, double friedge, wine fridge, pro coffee maker. Guest bathroom with walk-in rain shower and alfresco courtyard shower. Dining terrace directly off the kitchen, with table for 10 and barbecue area. 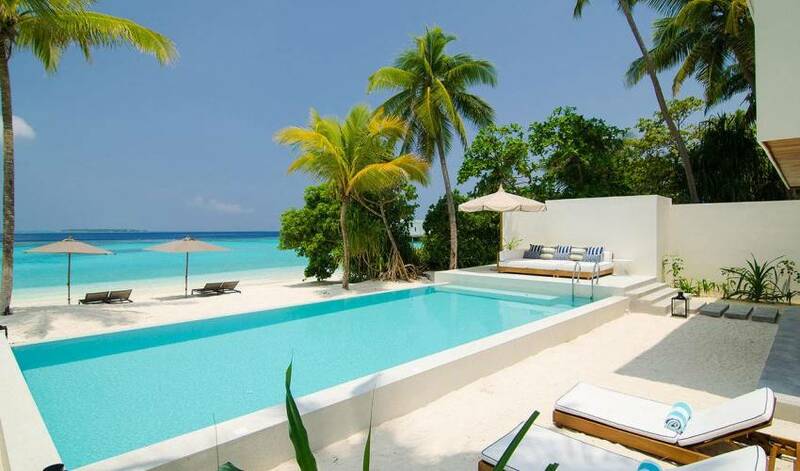 11 x 5-metre infinity swimming pool right on the beach edge. Raised sun deck with circular loveseat and large sunshade. Double hammock swaying beneath the beachfront palms. Two double sunbeds set on the sand. Casual seating area in the poolside garden. Second seating area in the entrance garden courtyard, shaded by palms, banana stands and frangipani. 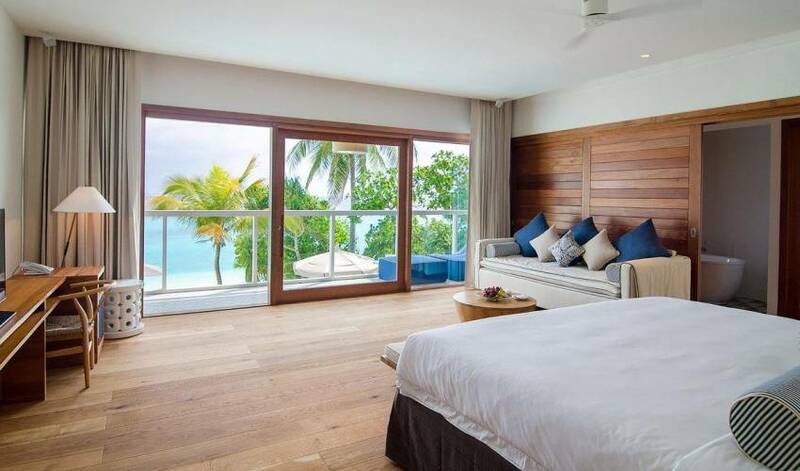 sized bed facing the ocean beyond the glass-fronted balcony. Two upstairs guest bedroom suites–one with king bed, one with twins. Both have treetop balconies with statement bathtubs, bathrooms with twin basins and separate shower enclosure (the king also has an alfresco shower), and a walk-in wardrobe. 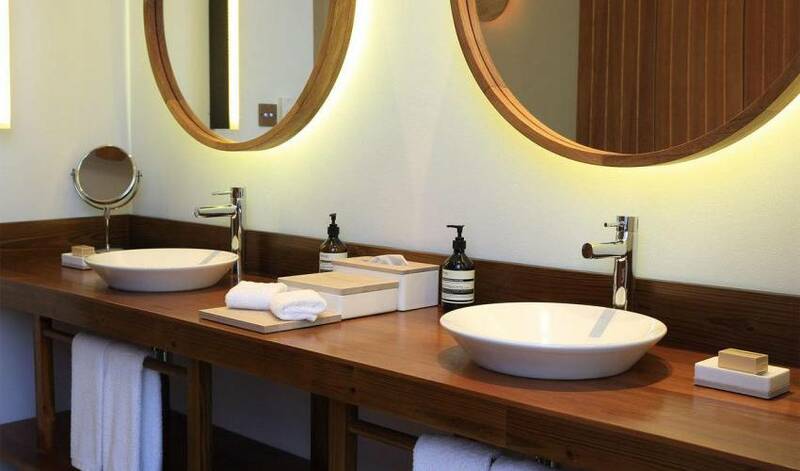 The third guest bedroom is on the garden level and has a single bed and ensuite shower room. Pillow menu, Bose sound systems, TVs with satellite channels, and safes large enough for a laptop in all bedrooms. Plus an iPad in the master bedroom. 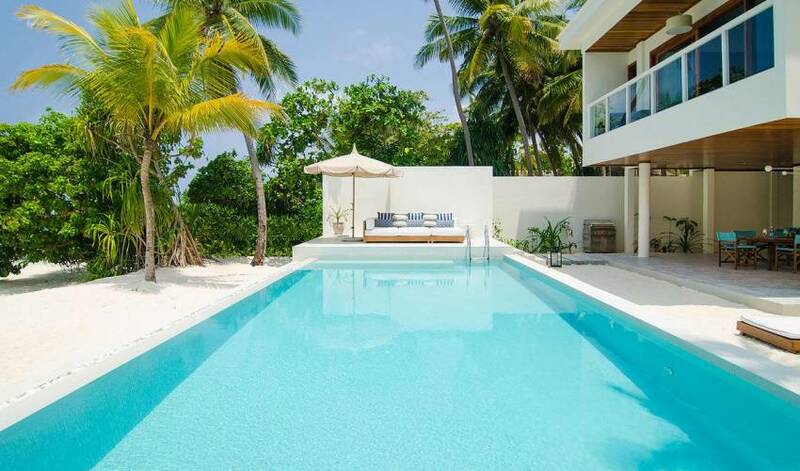 The eight idyllic beach villa residences fringe a tiny gem of an island on the eastern side of the Baa Atoll, home to some of the richest waters in the Maldives and a biosphere reserve protected as a UNESCO World Heritage site since 2011. The island is less than a kilometre from end to end and exploring is easy, either by foot or courtesy of the Rolls buggy and bicycles available at each villa. The house reef, only a few strokes away form the beach, offers easy a ccess to a magical underwater world; a short swim brings snorkelers and divers alike to the Blue Hole, an amazing natural phenomenon populated by myriad marine life, providing a spectacular underwater experience. And just a short speedboat journey away are some of the Maldives’ most famous marine sites – among them Hanifaru Bay, famed as a phenomenal feeding area for manta rays and whale sharks in certain seasons.